The final walk-through prior to closing on a home purchase is just as important as the home inspection. While the inspection is typically completed during the due diligence period shortly after a purchase contract is binding between buyer and seller, the final walk-through is typically done the day before closing. This final preview of the home gives buyers the opportunity to ensure all required repairs have been completed, all personal property has been removed, and the home has been left clean and free of debris. Should a buyer find that specified repairs are not completed, personal items remain or a mound of garbage has been left behind, they should alert their Buyer Specialist immediately as these situations need to be addressed prior to closing. If during the final walk-through repairs are found to be incomplete or any new damage is discovered, buyers can request sellers provide compensation for the repairs or damage. A reasonable request is encouraged to eliminate tension as often these issues are an oversight or accidental, and not intentionally omitted. 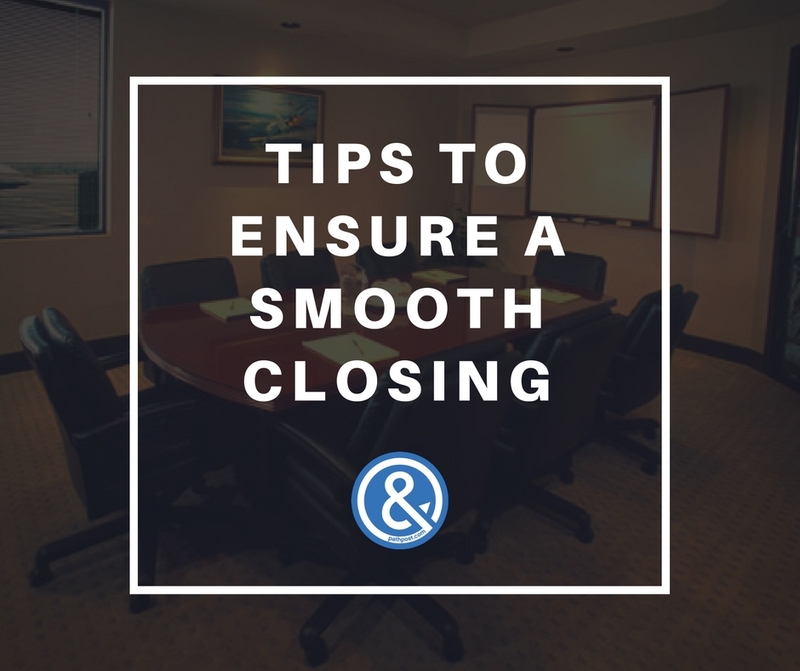 Also, be sure that you have the proper funds wired or a certified check to the closing attorney’s office when you arrive at the closing table. Confirm funds are wired or have cashier’s check – Many closing attorneys require funds to be wired if the buyer’s cash to bring to closing is greater than $5000. It is always good to follow up with the specific attorney’s protocol for handling of funds. Bring driver’s license/ID – The closing attorney will ask for the drivers license or photo ID of all buyers and sellers associated with the transaction, as proof of identity.